On Friday the 15th of March, the Annual Dinner took place at the beautifully renovated National Museum. 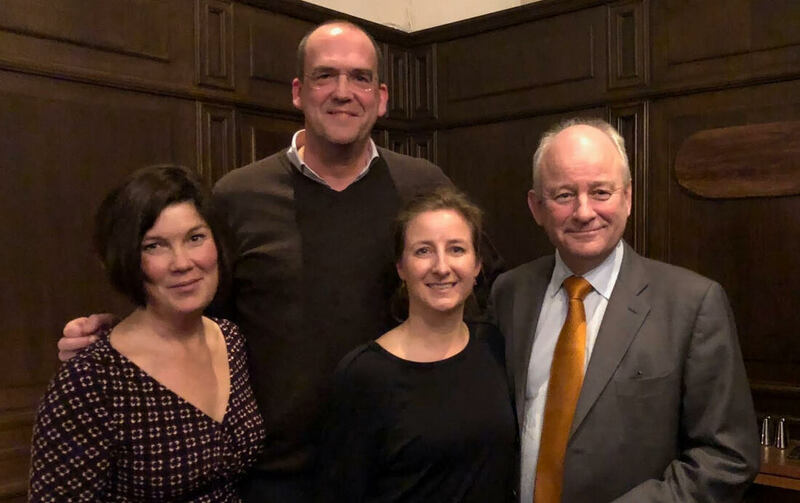 Members and friends of the Dutch Chamber gathered at the Nationalmuseum in Stockholm for an evening with excellent food, great art and vibrant networking. It was the perfect location considering the celebrations this year around the Golden Age and Rembrandt in the Netherlands. The evening started with a guided tour through the museum showcasing several works of art from, amongst others, Rembrandt. The Ambassador of the Netherlands and our patron, Mrs Ines Coppoolse inspired with her speech before everyone was asked to take their seats. The well-known Chef of the restaurant, Fredrik Eriksson, presented the menu for the evening, followed by the serving of the first course. Our chairman Maarten Merckx also held a short speech before starting the main course. A special 'thank you' goes out to Samskip van Dieren, Centric, Heineken, KLM, Studio Bojo and Berkers & Company for making this evening one to remember. This Annual Dinner, once again, was one for the books. We hope to see you all back for the Annual Dinner next year! ​Frank Cleeren recently joined the Dutch Chamber as a SME-member with Design Research Studio Tom Dixon. 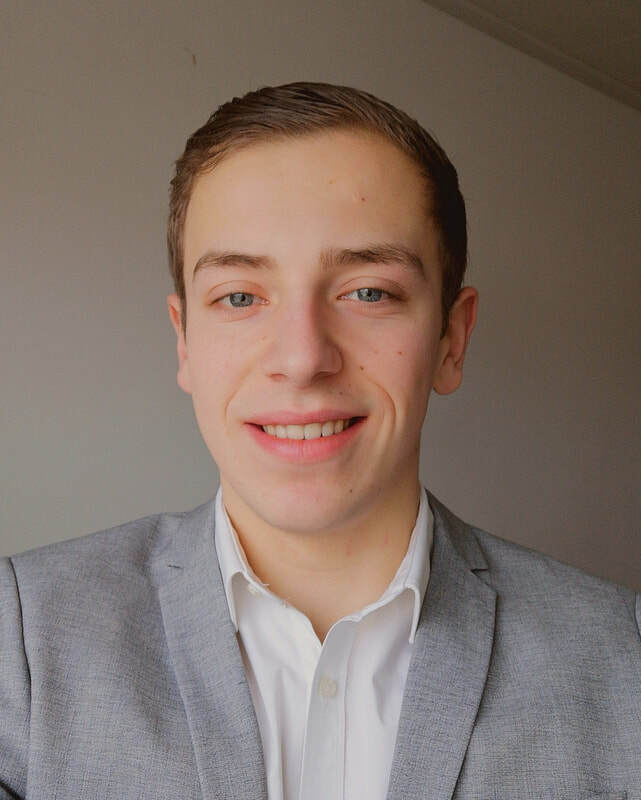 We were curious to find out more about him and the design company he works for as contract sales manager Nordics. What is "Design Research Studio Tom Dixon" about? Tom Dixon designs and manufacturers lighting, accessories and furniture. 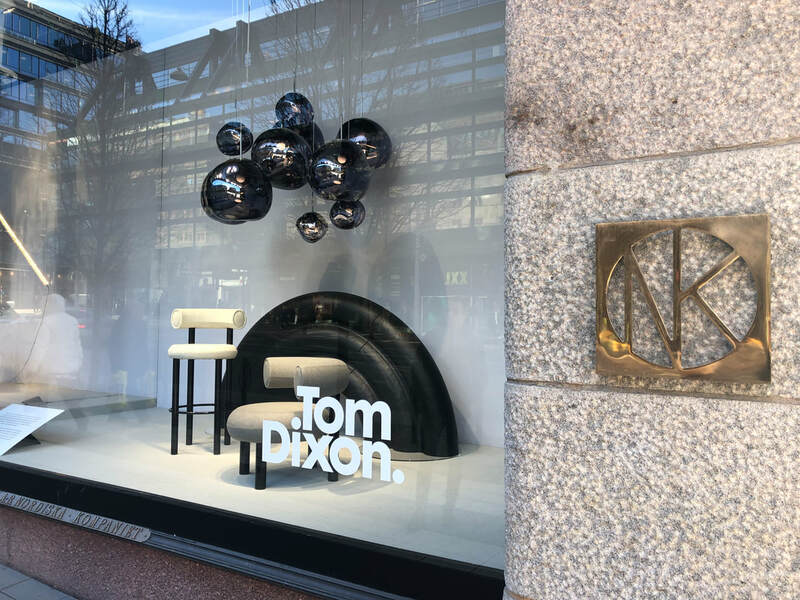 Tom Dixon is a widely celebrated global force in interior design with our own hubs in New York, Hong Kong, London, Los Angeles, Tokyo and soon Milan. Our 600 products range from lighting to furniture, from tableware to fragrance and are distributed in over 65 countries. They are instantly recognisable for their sculptural qualities and engineered materiality. How long have you been in Sweden now and how did you end up in Sweden in the first place? I moved from London to Stockholm because of my partner, without job in March 2011, studied some Swedish and started working in January 2012. 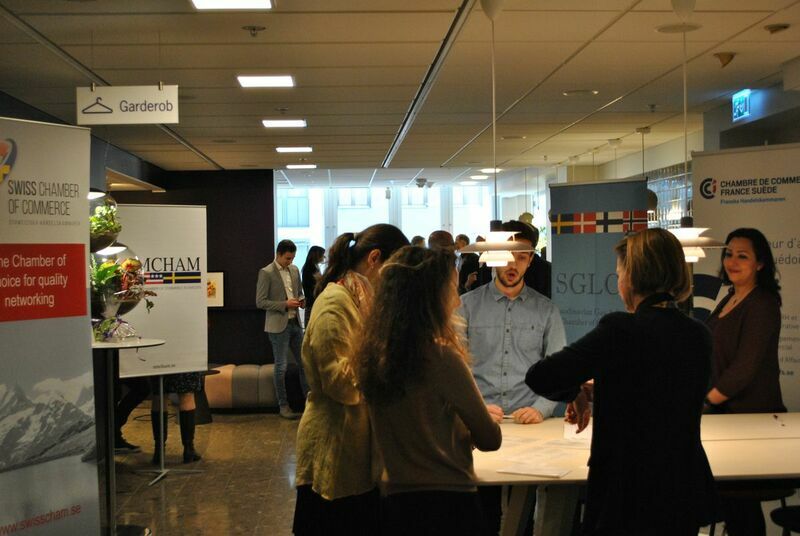 What are the biggest challenges for you, as being a Dutch entrepreneur in Sweden? I lived in a few countries before, which made moving to Sweden feel like a natural next step. It sounds contradicting perhaps, on the one hand I wanted to settle and on the other I wanted to start all over with finding a job. Learning a new language after the age of 30 was the biggest challenge. It is nice to work for a foreign company in Scandinavia, Tom Dixon is a company with radical and industrial designs, they stand out from the crowd. Can you tell us a bit about how it is to exhibit at Stockholm Furniture & Light Fair (SFF)? For Tom Dixon, the Scandinavian market is one of the larger ones in Europe. This goes for both retail as well as the contract market (office, hospitality markets). Scandinavians are design focused and spend more money on interiors than many other European countries. I believe there are two explanations for this. Firstly, it is dark during five months a year. Wherever you go in Sweden, candles are lit all day long. The cosy factor is important, (artificial) light plays a large role in the wellbeing of people. Secondly, the larger part of social invitations takes place at people’s homes. Dinner parties are often given at home, eating out is less common than in southern European countries. I am sure you recognise this. People dress up, exclusive glassware is put on the table, and extreme care is taken of the right colour coordination and furniture choices. Exhibiting at SFF was a must for us, the fair has shown an increase in international visitors over the past 5 years due to the Scandinavian design trends with brands like Hay and Gubi. We decided to go all-in again after a two years of absence and do a brutalist booth in black and white to make it very clear we are not a Scandi-brand. The strategy of our design team proved to be successful, architects and customers loved the minimalistic approach. Further, we invested in a 2-window display at NK, an event in Arket’s showroom and a VIP dinner in the Residence of the Ambassador of the UK to proof that we are committed to the Scandinavian market. How did you get in touch with the Dutch Chamber? This makes for a good story. My wife won a car on the Arlanda Airport and was invited to the Sheraton hotel to collect the prize. She met Roel Huinink (re-located now) and brought me in contact with the Chamber, I attended an event and decided this was really good. Which past event has given you the best memories? Annual dinners are a true highlight each year! The quality of speakers on events is beyond what you can think for a club of our size. 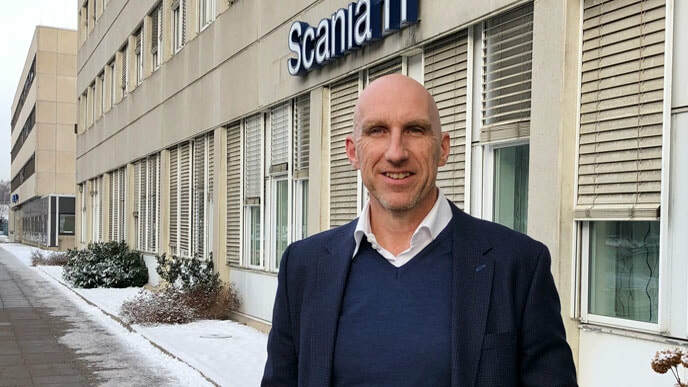 I mean getting the CEO of Handelsbanken to invite the Chamber for Lunch is great work or having the CEO of Vattenfall doing a presentation for the Chamber. "Chapeau" or "petje af"
​On the 7th of March, a group of master students in strategic design from the Technical University (TU) in Delft, Holland visited the Dutch Chamber. 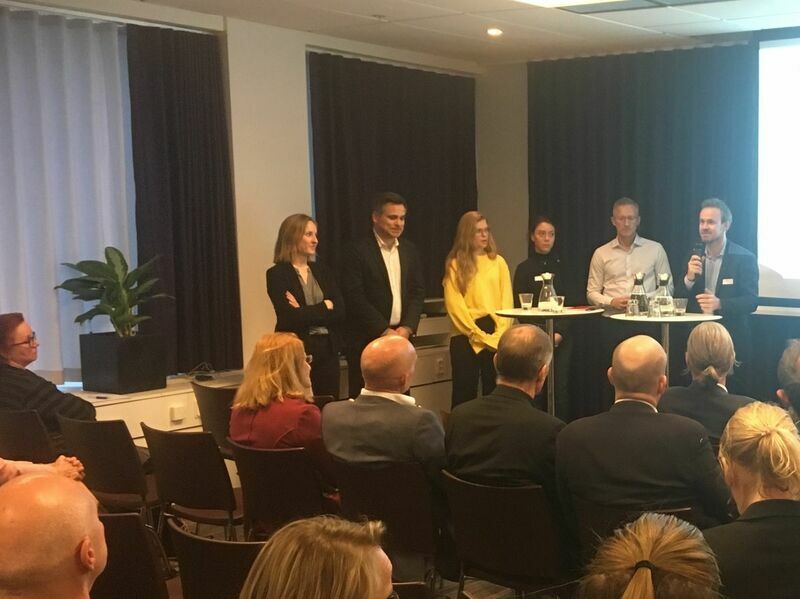 The students were on a student visit in Stockholm to help different renowned Swedish companies with some real-life case studies. 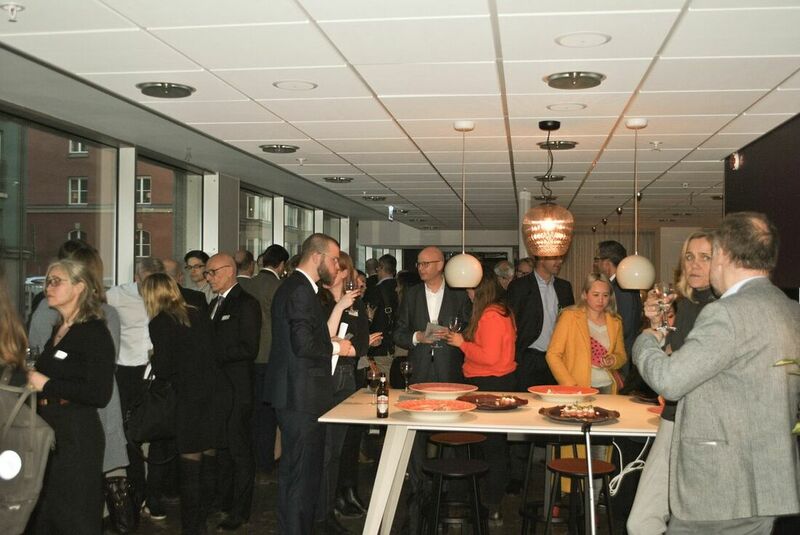 The evening started with a welcome from our chairman Maarten Merckx, which was followed by a presentation of Wilco Schuttelaar, innovation attaché from the Dutch Embassy. Wilco spoke about the building and his work at the Embassy. After that, the students presented their case studies about Strategic Design. The students showed passion for their subject by giving elaborate answers and responding to each others answers, which was inspiring to see. The evening ended with drinks and networking.